Difensori: Juan Jesus, Kolarov, Capradossi, Fazio, Florenzi, Bruno Peres, Manolas. Centrocampisti: Nainggolan, Strootman, Pellegrini, De Rossi, Gonalons, Gerson. Attaccanti: Dzeko, Schick, Under, Defrel, El Shaarawy. Portieri: ter Stegen, Cillessen, Ortolá. Difensori: Semedo, Piqué, Jordi Alba, Aleix Vidal, Umtiti, Yerry Mina, Vermaelen. Centrocampisti: Rakitic, Busquets, D. Suárez, Iniesta, Paulinho, Sergi Roberto, André Gomes. Attaccanti: L. Suárez, Messi, Dembélé, Paco Alcácer. Difensori: De Maio, Gonzalez, Helander, Keita, Masina, Mbaye, Romagnoli, Torosidis. Difensori: Luca Pellegrini, Juan Jesus, Kolarov, Capradossi, Fazio, Florenzi, Bruno Peres, Jonathan Silva, Manolas. 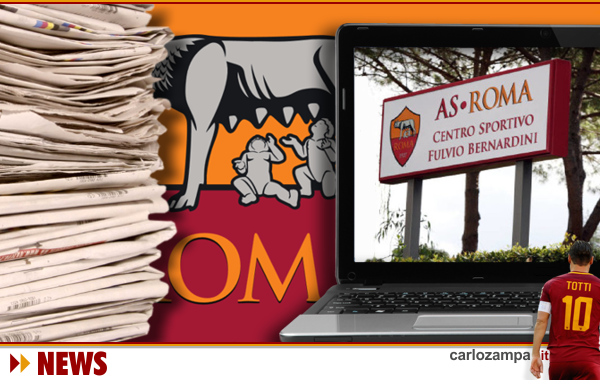 Centrocampisti: Nainggolan, Strootman, De Rossi, Gonalons, Gerson. Attaccanti: Perotti, Dzeko, Schick, Defrel, El Shaarawy. Like William Wallace, the Scottish warrior, Edin Dzeko is the Roma hero of the night, scoring the winner that sends Roma to the quarterfinals of the Champions League. Edin like his teammates fought like a brave on the pitch, showing the right attitude from the start, all went on to believe Roma could not miss this massive opportunity. It was a tough match, as expected. Shakhtar are a good team, but despite having longer ball possession they never threatened our keeper. But yes, we all dreaded the last five minutes; Roma had to resist until the very dying seconds before celebrating with the fans. It was frantic. So, happy days in the end, against all odds Roma are in the last eight, first time since 2008. A massive achievement. Zero goals conceded at the Stadio Olimpico during the whole campaign. Most credit goes to Alisson Becker, but also to Di Francesco and all his men last night, including Bruno Peres with that last gasp save in Karkhiv. Get this. Our Champions League does not finish here, this is not over yet, whatever happens in next round. We must believe we are going to the semis, no matter what comes along at the draw on Friday. We are going to Kiev! And if we aren’t then be it. But first, Crotone on Sunday. Believe! Daje Roma! The after-match press conference by Eusebio Di Francesco was by far the best we have seen from Roma last night. Just impeccable. He explained that his men were told to attack the Juve backline, pressing and squeezing them in their half, Strootman and De Rossi to tackle and prevent Miralem Pjanic from moving around in the middle of the park, Nainggolan to range around much closer to the Juve goal and try to fire shots at them, Perotti and El Sharaawy to fly on the wings and skittle around to assist Edin Dzeko in the middle of the penalty area. That was the game plan. EDF was very swift to show his disappointment with Roma’s first half, he was very honest and clear about what he felt about it, that he has been working on the players’ mindset since appointed in the summer. Last night it was a big opportunity to show that this team have now developed a different approach and mentality in big games like this. He went on to remark that what he saw last night in the first half was just the opposite of his instructions he gave the team just before the match. Alisson was by far man of the match. EDF was very annoyed at how the defence handled the Benatia goal incident, how the keeper made some incredible saves while the defense stayed completely still watching the Juve defender trying three times from the same spot until he was able to put it in the back of the net in total freedom. He voiced out that his wingers did not push on the wings, that Nainggolan never tried to get upfront, that the midfield was taken over by Pjanic and co. in absolute liberty, and of course, just went sarcastic at the biggest chances of all, as the night concluded with Schick unable to convert the most glorious opportunity, alone in front of Szczęsny in the very dying seconds. “He will score more important goals in the future”, his comment. EDF is definitely ready, now the team must follow. Happy Christmas to all readers! Always Forza Roma! Miracle. Not only do we go to the knockout stages of the Champions League but we win the group surprisingly, at the expense of Chelsea and Atletico, the group of death, at the beginning prohibitive, we were all pessimistic and instead the strength of this group has made the difference, thanks to Eusebio Di Francesco who managed to get into the players’ heads and turn this team into a solid reality. With the celebrations going into the next round here comes another news at the same time that changes the fate of AS Roma. The new stadium project has been approved and will be built in Tor di Valle racecourse area. In short, a historic double for all the Roma fans. There are all the conditions to grow as a club and finally become a big team in European football. Last night Roma struggled a lot to beat Qarabag, the team seemed a bit tired, and lacked brilliance and Qarabag defended tighly, so we were all a bit apprehensive, especially after Atletico taking the lead in London against Chelsea, then Perotti eventually scoring the winner with Chelsea drawing consolidated Roma as group winner. This was the real match to test this Roma side. Napoli, top of the league, 7 win out of 7, crushing teams all along, playing great football so far. A test to determine whether this Roma team is ready to battle alongside the top sides in Serie A and in Europe. Of course, Roma lost one nil, thanks to Lorenzo Insigne’s first-half strike, with Roma failing short in pursuit of an equaliser. But the defeat goes beyond the result. Napoli showed a lot of confidence, just superior in the first half by controlling the ball and pressing Roma, who struggled to keep the opposition at bay. Di Francesco’s men were just unable to keep the same pace. Too clumsy at the back, too predictable in midfield, too weak on the wings. The worst seen so far this season. Daniele De Rossi unfortunately was the main culprit, responsible for a silly mistake that created a golden opportunity for Napoli to score. Insigne did not waste it. During second half EDF made some changes at the back and in midfield, and Roma did improve but it was not enough. Of course, Pepe Reina and the crossbar denied a possible equalizer but that was it. Napoli seemed always on top and squandered some clear chances to double the advantage. 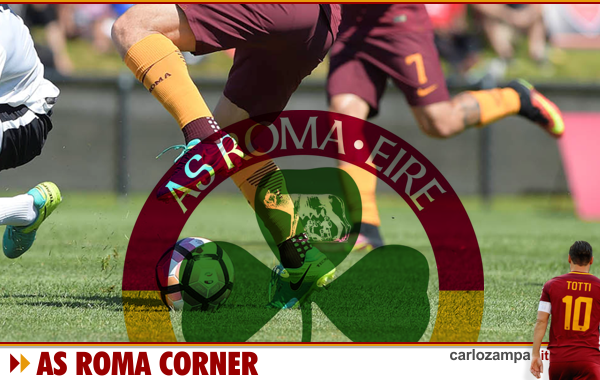 Roma were able to put some pressure in the last 20 mins but never gave the impression to play well as a team, just relied on whateveter scramble, or, on any random crosses from the wing, if could bring something. Disappointment in the end. The only thing we can say is that we were missing several key players, that this team is still in the process of becoming a team. One note: Di Francesco game plan might not suit certain players, like De Rossi for instance, his way of playing in front of the defence. Daniele is a defender essentially, not a metronome able to push an attacking play. The same can be said about his natural replacement, Maxime Gonalons, who hardly features in this team. Roma might need a different player there if EDF insists on 4-3-3 formation, maybe Strootman can do that? On another note, Chelsea awaits us on Wednesday, fresh of defeat against bottom team Crystal Palace, quite opposite as Napoli, 7 matches lost out of 7, zero points. Yet, yesterday they beat Chelsea 2-1. But rest assured, the game at Stamford Bridge will be quite different, if Roma wants to pull a positive result must be performing close to perfection, especially in defense and in midfield. We must pick ourselves up, get out there and play! Daje. Forza Roma. Good points, 3 points in the bag and second place above Atletico who lost to Chelsea. Bad points, a not so good performance against a team well below average standards in the Champions League. We were expecting a more convincing spirit and attitude, you need that in European competitions, regardless. Some player slacked on the pitch, just not focused, especially after Manolas and Dzeko goals that put Roma ahead in the first 15 mins. The game wrapped up? You can’t think this way at this level, in fact Roma disappeared afterwards and Qarabag looked dangerous in some circumstances, pulled one back for Gonalons silly mistake, then nearly got an equaliser in the final minutes. So, not perfect at all, but at least we have the 3 points we need. Next Chelsea front and back. Atletico in Madrid will probably be the decider for second spot. Next Serie A, Milan on Sunday, they are not at their best but we need a more solid performance in the San Siro. Forza Roma, as always! 45 minutes, that’s how long took Roma to wrap up the match against Udinese. Another game won based on clear superiority from the start as seen against Verona and Benevento. More goals by Edin Dzeko and El Sharaawy. More changes in the team rotation, but the end product is the same. Diego Perotti continues to show brilliance on the flank, despite missing the penalty that could have put Roma 4-0 up. He’s first penalty ever missed since at Roma. Edin Dzeko numbers are staggering: 22 goals in the last 22 games. 55 goals in 2 seasons. Encouraging performances and numbers in spite of Juve and Napoli continuing their unbeaten run. Roma have so far emphatically won their games, nevermind the initial Inter set back. Juve and Napoli have shown resilience but nonetheless this Roma team can challenge anyone. Of course, tougher tests ahead will tell the real story but so far we can only be pleased by Eusebio Di Francesco’s work. As far as we are concerned, we do not miss Luciano Spalletti, apart from the work on the pitch, EDF is always straight to the point, no strange attitude and quite elegant on how he communicates to his players and the media. He knows what he wants. He makes sure all his players feel important, no one is assured a place, anyone can enter the field anytime, all equally. Even at Inter, Spalletti keeps showing that he only considers a number of players, if you don’t fit the bill you might stay on the bench all season. Unlike Spalletti, EDF rotates well his players and uses his subs in a relevant way, not with 5 minutes to go. So, long live Eusebio, forget about the press calling for silly arguments. This team has potentials, we just need to behind them. Qarabag on Wednesday then Milan on Sunday. Daje Roma!